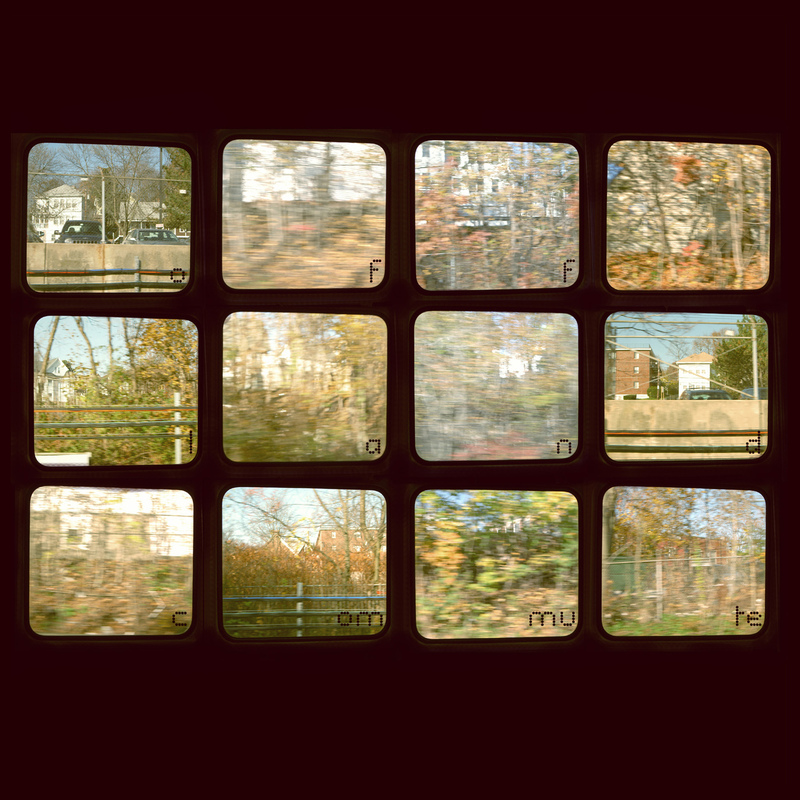 The Process: Commute is an experimental concept album about commuting. The album is the length of my commute in 2006. I recorded my commute four times (2 out and 2 back), overlapping all four audio recordings into one 68 minute sound collage. This soundscape became the foundation of the composition and the subtle ambiance heard throughout Commute. Tones were designated to various sounds; watery piano for people & chimes, dulcimer drones for cars, drums for rain & subway tracks, low drones for subway cars, and synths for general ambient noise. 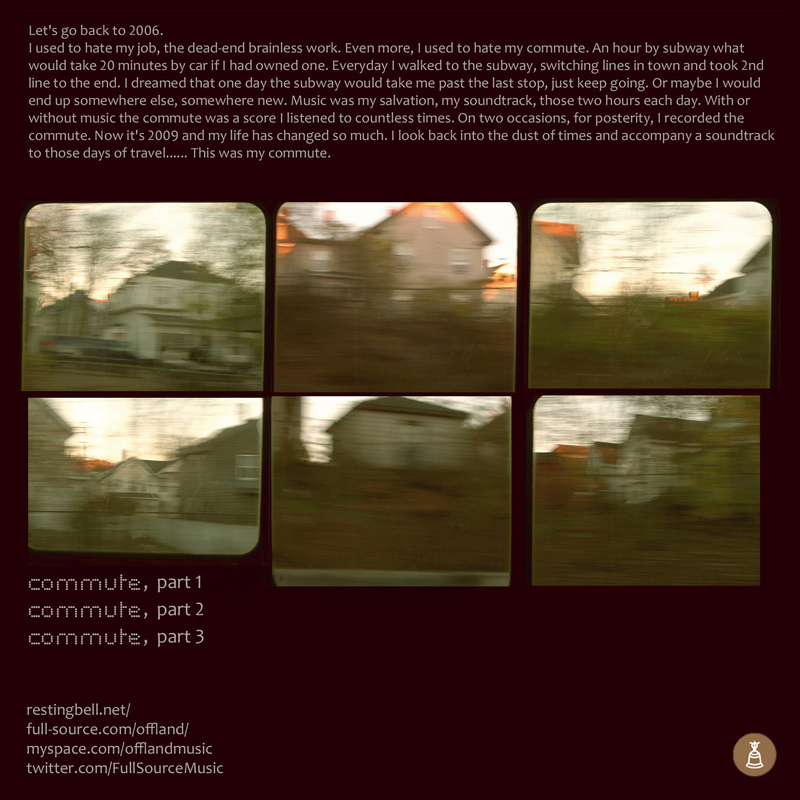 The structure was entirely in the hands of the field recording collage. It was my conscious decision however to break Commute up into three sections. Each section represents a different leg of the commute (1 – The walk to the subway / 2 – The ride downtown / 3 – The 2nd line outbound).